Let's face it: Not everyone should be allowed to have a Twitter account. Sure, it a great place to express your feelings. But when the love of millions of fans - not to mention millions of dollars - depends on keeping a clean image, the social network becomes a minefield for bad decision-making. Just ask these famous athletes who said really stupid stuff on Twitter. Athlete Twitter fails have been around since the first jock got his a smart phone. Nowadays, a lot of athletes have wised up and decided not to tweet out every single thought that comes to their head. Yet, despite examples form fellow athletes who've made major mistakes, some sports stars just never learn. For some, the backlash ends with ruffled feathers and lost fans. For others, the result of their dumb tweets has been total career implosion. To be fair, not all of these athlete tweet fails were on purpose. Sometimes the stars were just too unfamiliar with the ins and outs of Twitter to know the difference between a tweet and a direct message. Whatever the motive, these risky tweets are usually deleted quickly... but not quickly enough. Check out this list of some of the biggest athlete Twitter fails around. 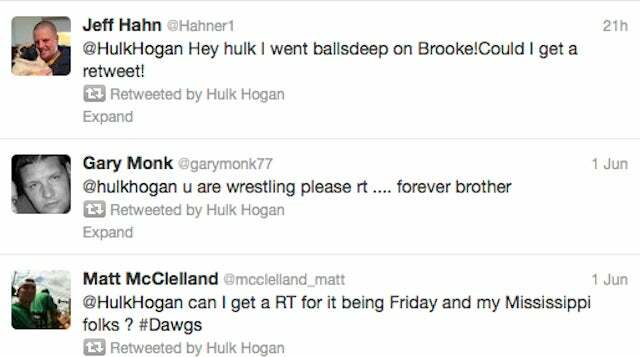 Hulk Hogan might not have been thinking straight on this one, or maybe he just forgot that his daughter's name was Brooke. Either way, this seemed like a particularly odd tweet to get a father's endorsement. Paraskevi Papachristou is a famous Olympic track and field athlete who thought it would be funny to make a racist joke just before the 2012 Olympics. 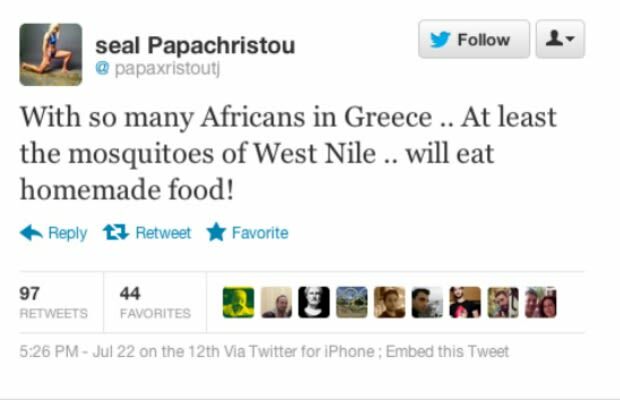 The backlash was about as bad as possible for Papachristou, as she was subsequently dropped from her Olympic team following the tweet. If you're a 9/11 conspiracy theorist, you probably shouldn't share it with Twitter. 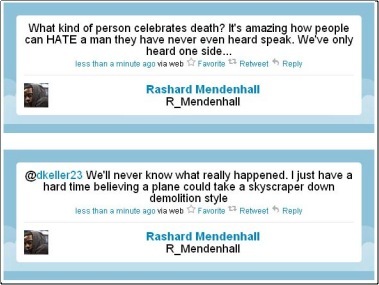 Mendenhall's Twitter storm made its way into some pretty off-limits territory. Considerable backlash ensued, which even lost him some major endorsement deals. It's probably not a great idea to start a Twitter feud with God, but that's exactly what Johnson did in a 2010 Tweet. (Although to be fair, the feud was pretty one-sided.) His tweet was the result of a dropped pass that could have won his team the game. Instead, he just lost respect of a lot of fans.